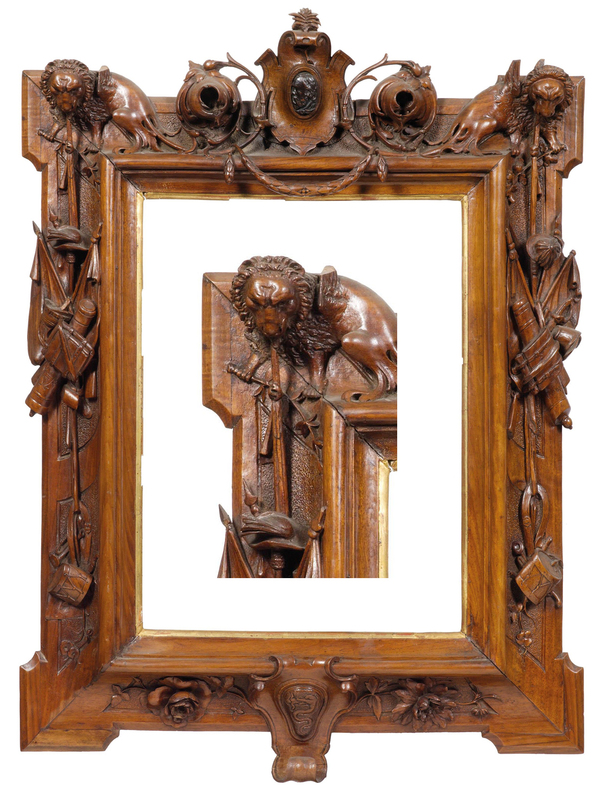 An auction by EVE of more than 900 frames will take place over two days at Drouot-Richelieu, Paris, on 6th and 7th March 2017. It includes a variety of designs of different periods and nationalities, from various sources and of varying quality; prices start at €80, and go up to €9,000 or so. There are a few examples below, with links to the relevant pages; the catalogue is a downloadable PDF from the menu at top right of the website. 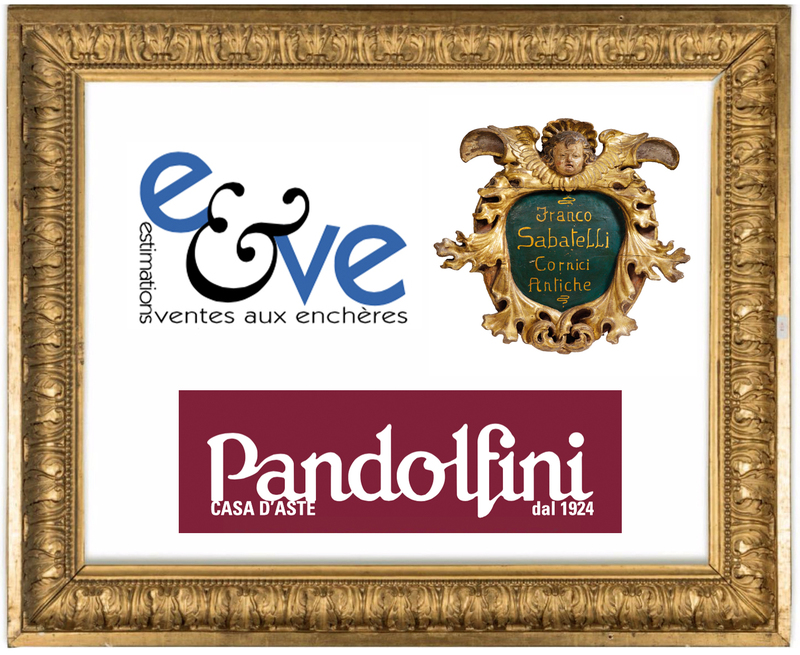 For the Pandolfini sale, please scroll down. 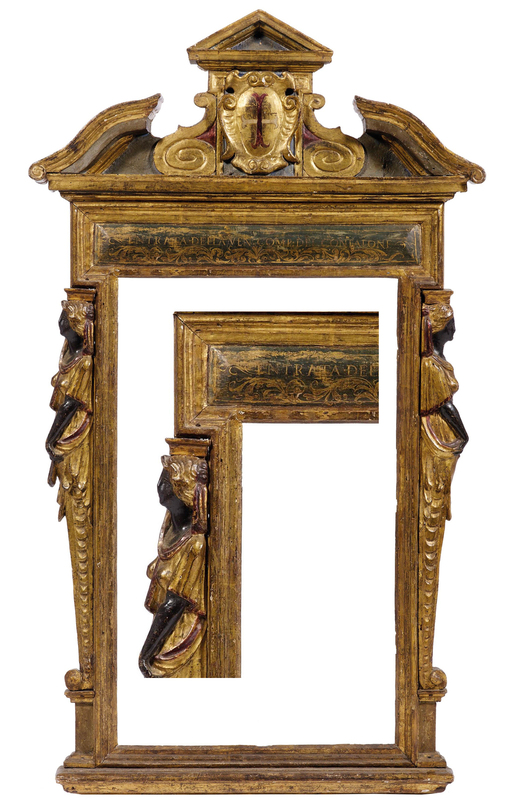 Lot 105 A 17th century French Louis XIV convex carved oak frame, with a flowered back edge, undulating acanthus leaves, floral sprays & leaf buds on the frieze, with acanthus leaf corners, and an acanthus leaf tip sight edge; gilded and patinated. 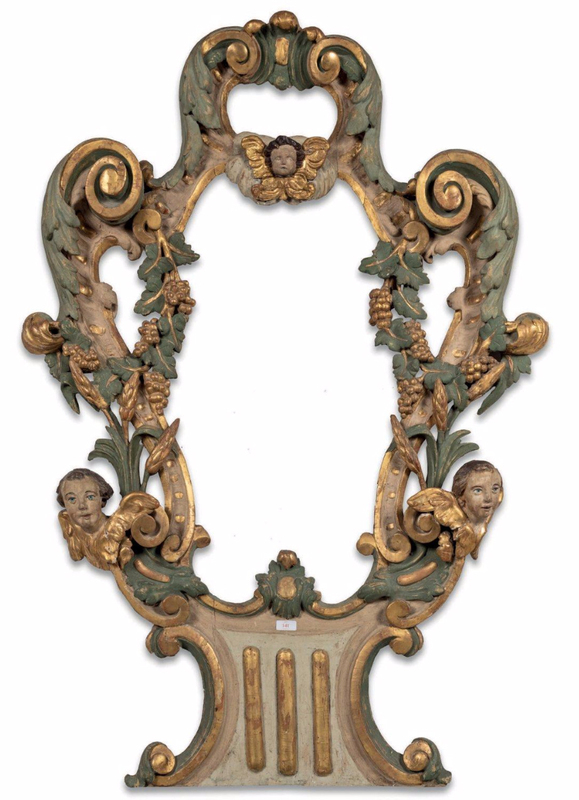 Lot 141 A late 17th-early 18th century French element from the boiseries of a decorative interior (possibly from a chapel, sacristy or convent), carved and pierced, formed of voluted S-scrolls with ‘Sansovino’ influence, twined with acanthus leaves, vine leaves with grapes, and ears of wheat, with winged cherubs’ heads, with a fluted pedestal; parcel gilt and polychrome; restorations and losses. It’s now well over half a century since 1961, when I opened my shop in via Fiori Chiari, Brera – the historical centre of Milan, which has experienced many great changes. The district of Brera used to be what might be described as the downtown area of Milan. It included, of course, the Accademia, the heart of inspiration for artists of all kinds. Bounded by the densely populated Garibaldi district and the Via Borgonuovo (inhabited by the Milanese haute bourgeoisie), and cut by the alley at the bottom of Via Solferino, this area was colonized by the most respected intellectuals of the period; all of which helped to make the Brera district even more charming. The population was the most diverse imaginable; its crucible was the Bar Giamaica. Here, in a former dairy, the physically frail Lina reigned through her sheer presence. She supervised the work of Quasimodo, Migneco and the butcher from her desk; whilst fierce debates flourished at the tables between journalists from the Corriere, artisans and other local workers. 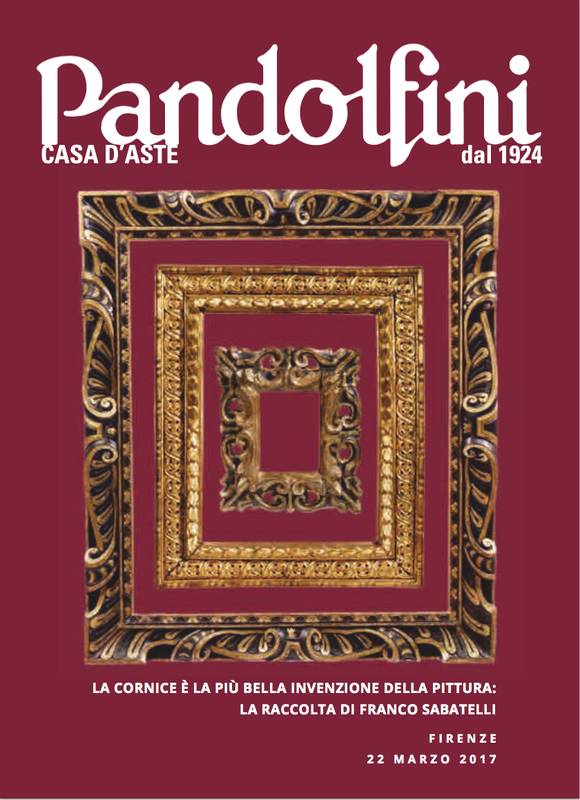 I opened my workshop here, in the via Fiori Chiari; my career had been steeped both in fine art and in the desire for innovation and research, and this led me to choose the field of the decorative arts from the immense panorama of possibilities, since they play such an important rôle in the whole. 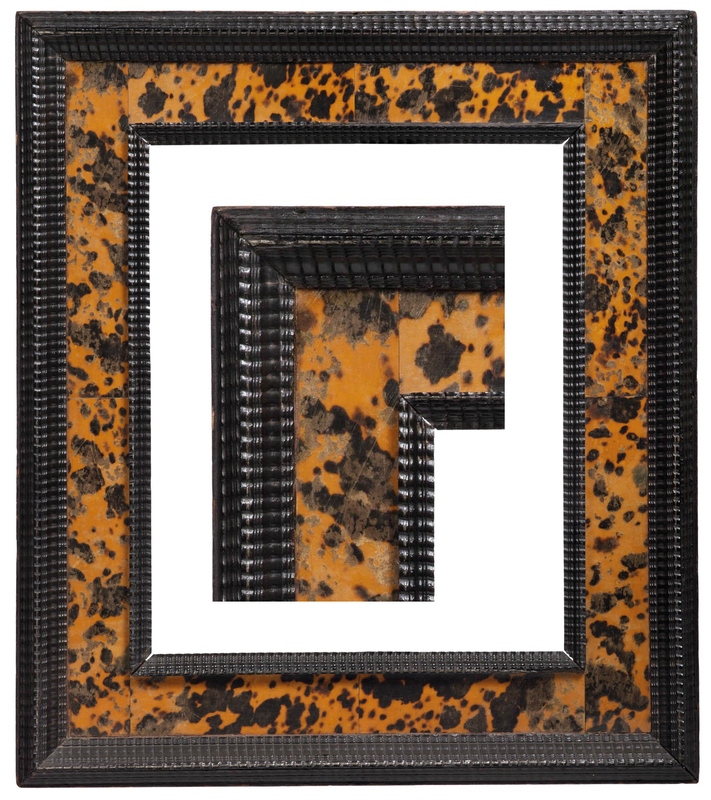 The frame: this played a great part in my decision, shaping my experience in the fields of restoration and gilding, and my years of work and research in the field. 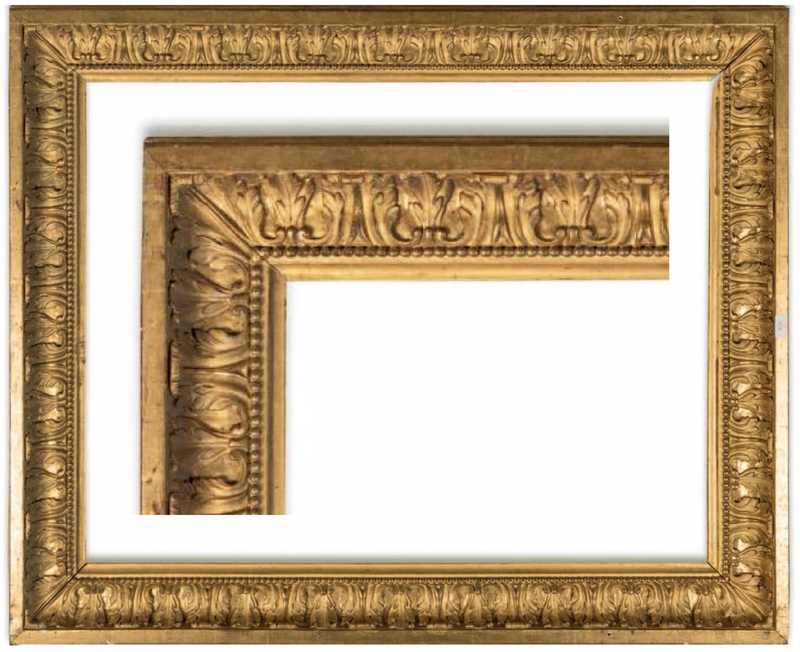 In the beginning no historical interest had as yet developed in framing, and the market in frames was still lukewarm; we lacked the events and exhibitions dedicated to the history of the frame which would come later: for example, The art of the edge, Art Institute of Chicago, 1986; Italian Renaissance frames, Metropolitan Museum, New York, 1990; Le cadre et le bois doré à travers les siècles, Château de Bagatelle, Paris, 1991; and more recently a number of international conferences and symposia convened by the cognoscenti who have helped to diffuse the knowledge and love of antique frames. 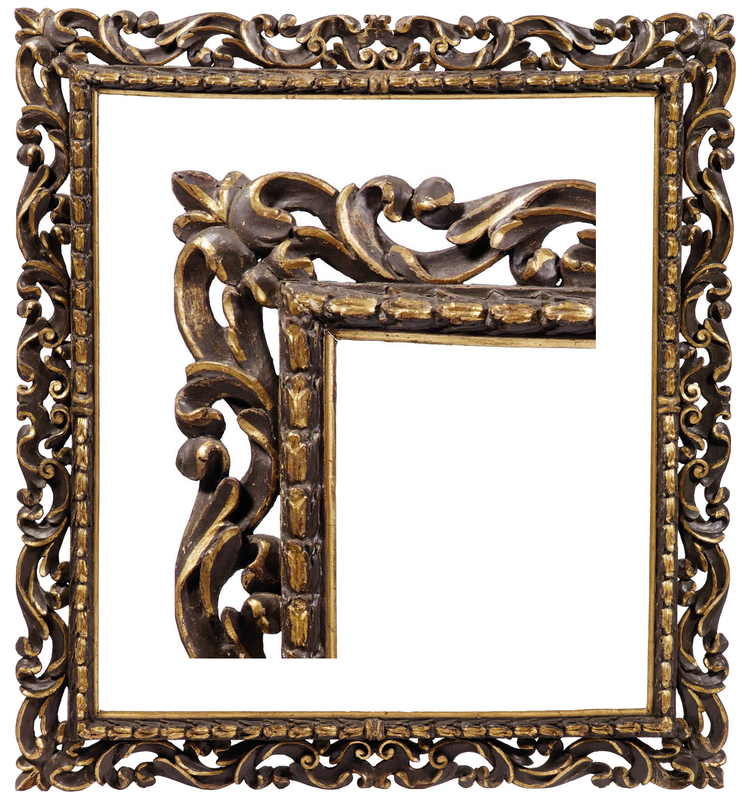 The definition of the frame as ‘the most movable of movable furnishings’ sums up its versatility. 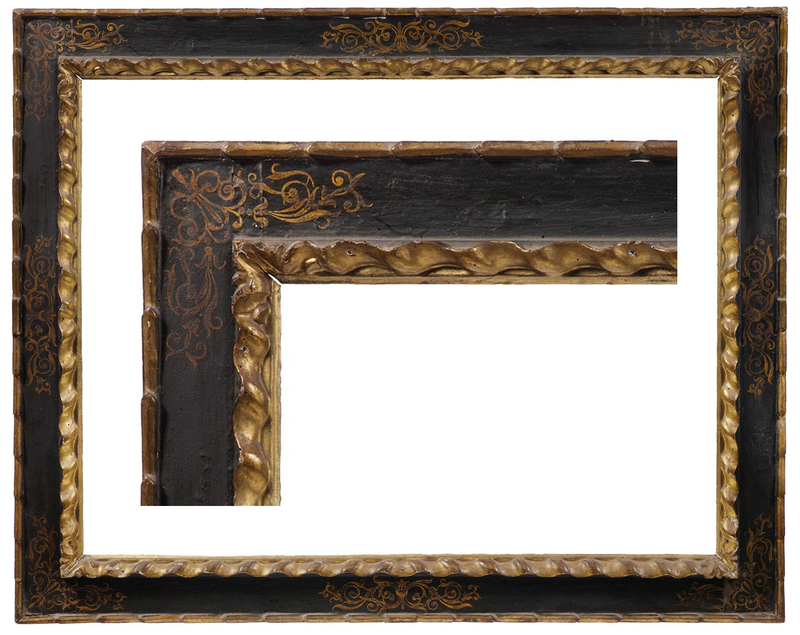 An antique frame achieves its primary historical function in framing a painting of the same era, recreating the context of the period; care must be also taken to fit the correct regional style to the picture, in order that no false note is sounded: it would be a solecism to match a northern Italian painting with a Sicilian frame. 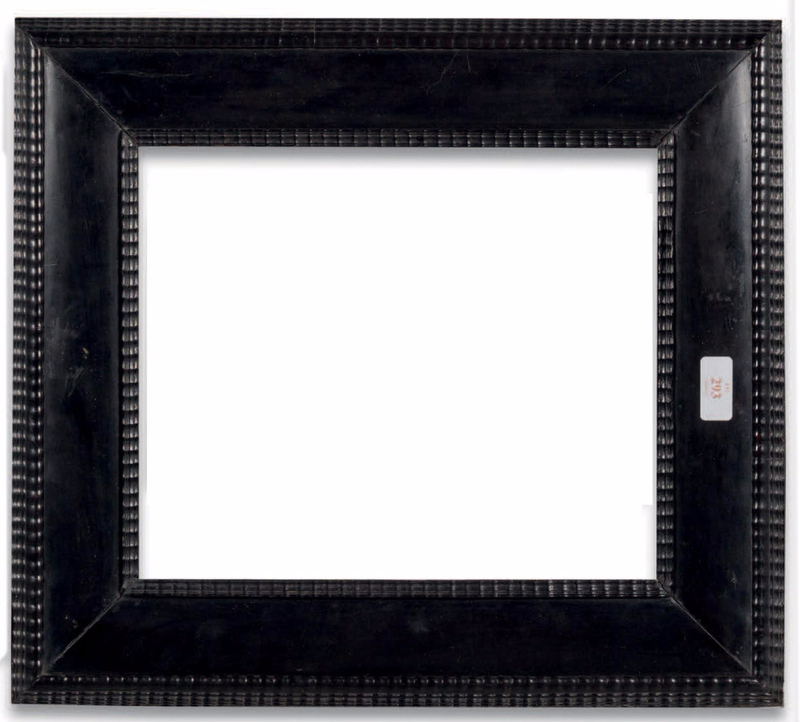 In addition to this, I believe that an antique style works extremely well for framing drawings and prints – both Old Masters and Modern; speaking of which, a very satisfactory and extremely elegant solution is to place a modern or contemporary painting in an antique frame. 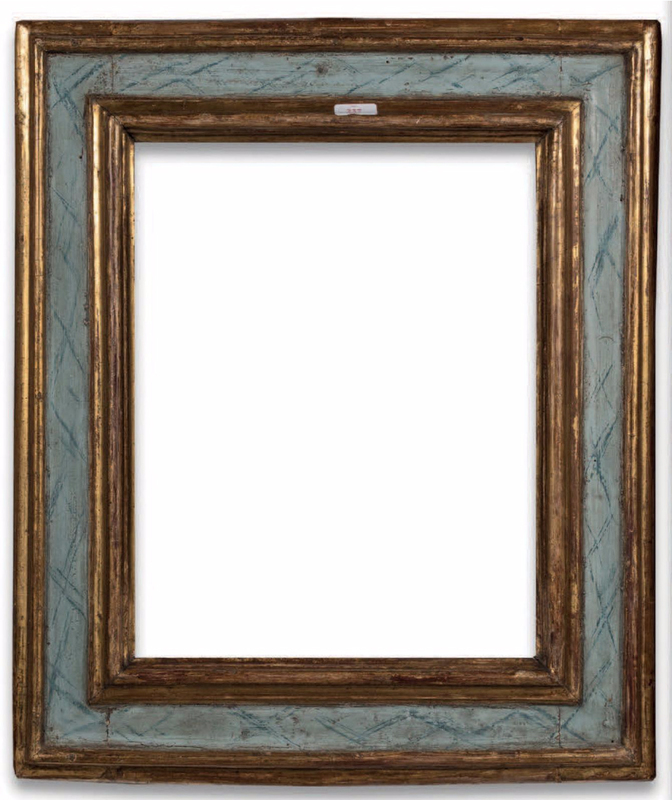 A De Chirico in a 16th century cassetta, or a Morandi in an 18th century Venetian frame, for example, will gain immeasurably from this combination. 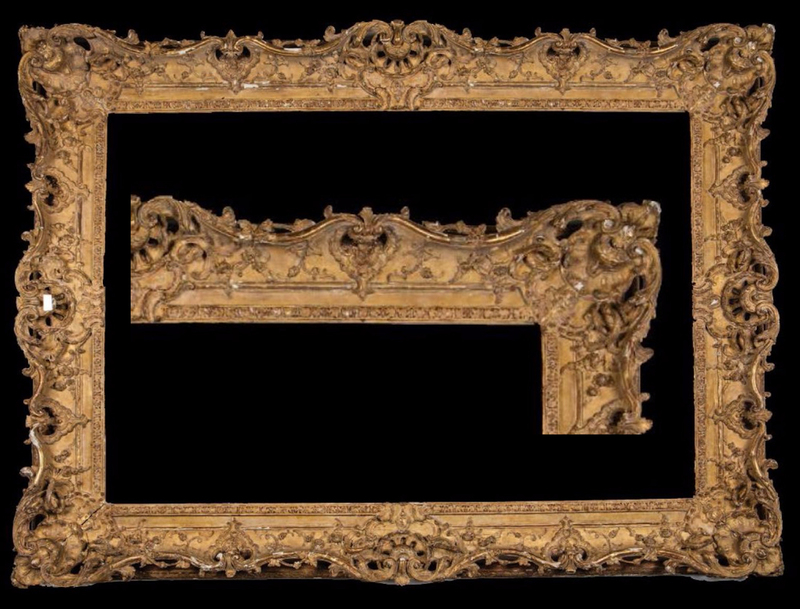 In confirmation of this, consider the Impressionists in the Musée d’Orsay in Paris: some of the greatest masterpieces are framed in antique French and Italian patterns. 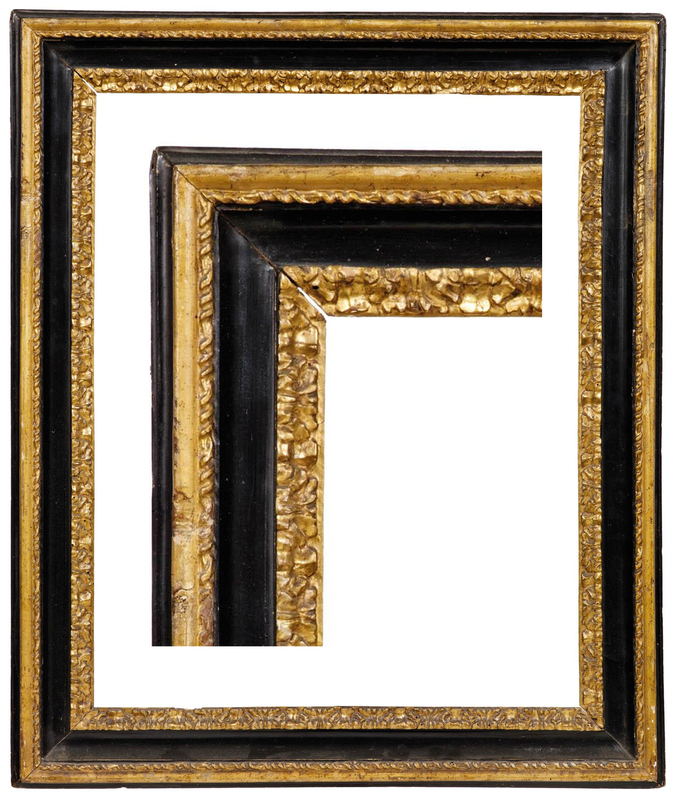 This is not the place in which to repeat the history of frames, which is vast, interesting, and complicated (at least in respect to Italy) by the many regional differences. 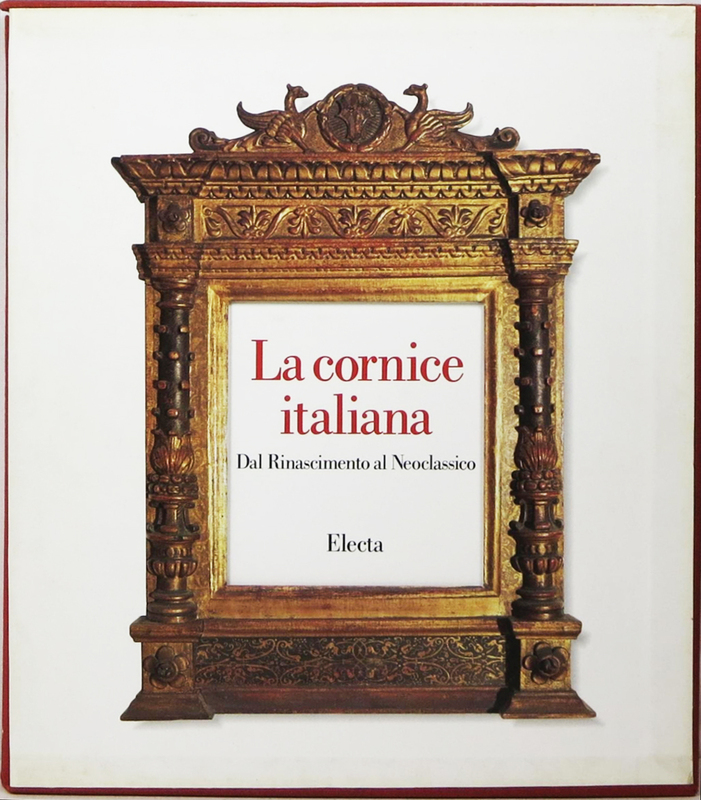 For more information on this subject, I refer you to La cornice italiana dal rinascimento al neoclassico, (Electa, 1992), which I edited and co-wrote with the art historians Patrizia Zambrano and Enrico Colle; this has sold more than thirty thousand copies in its various editions. 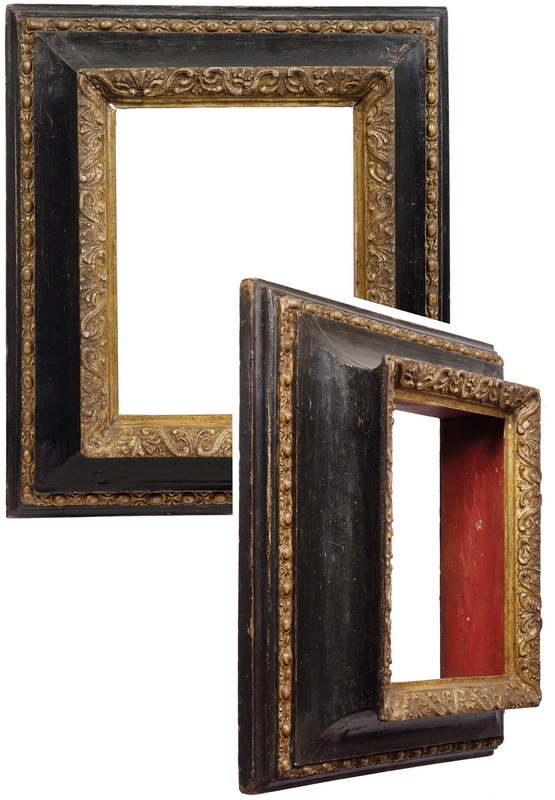 When deciding whether to purchase an antique frame I recommend my friends and customers to look at these factors: age, condition, rarity. 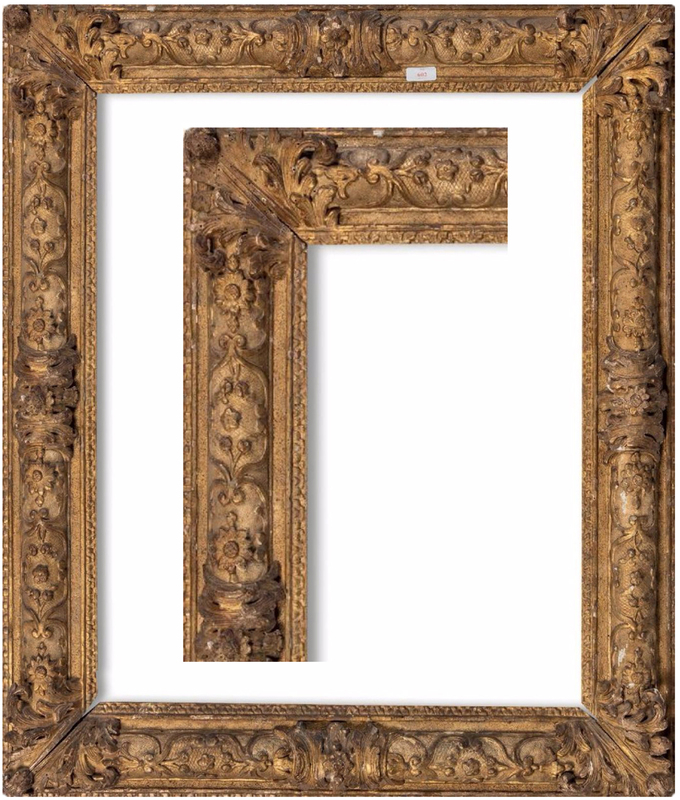 A 16th century cassetta of the same quality as a 19th century frame will be more sought after and much more expensive than the latter, never mind the much greater difficulty of finding a good example. 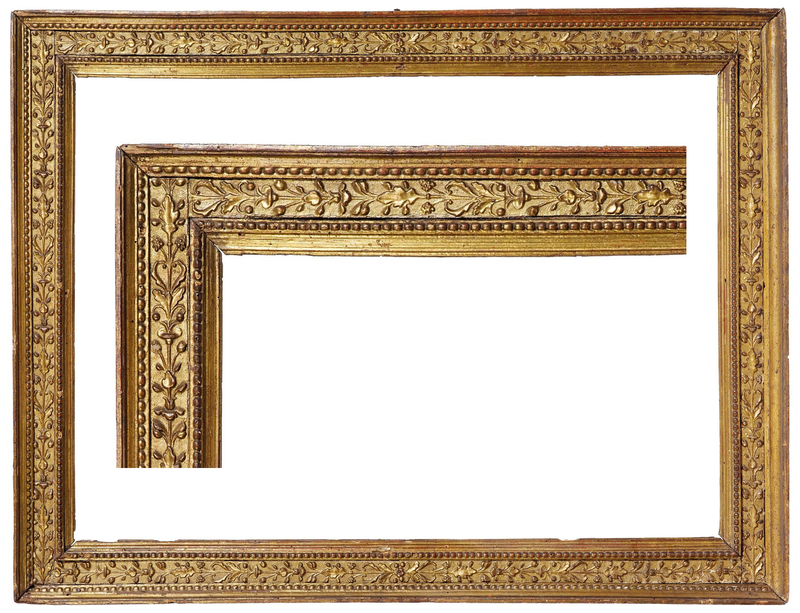 As to condition, it is not easy to find an antique frame in a good state of conservation for sale, even taking into account its history, movement, the changes in temperature and humidity it will have encountered, the careless treatment and accidents it may have undergone. 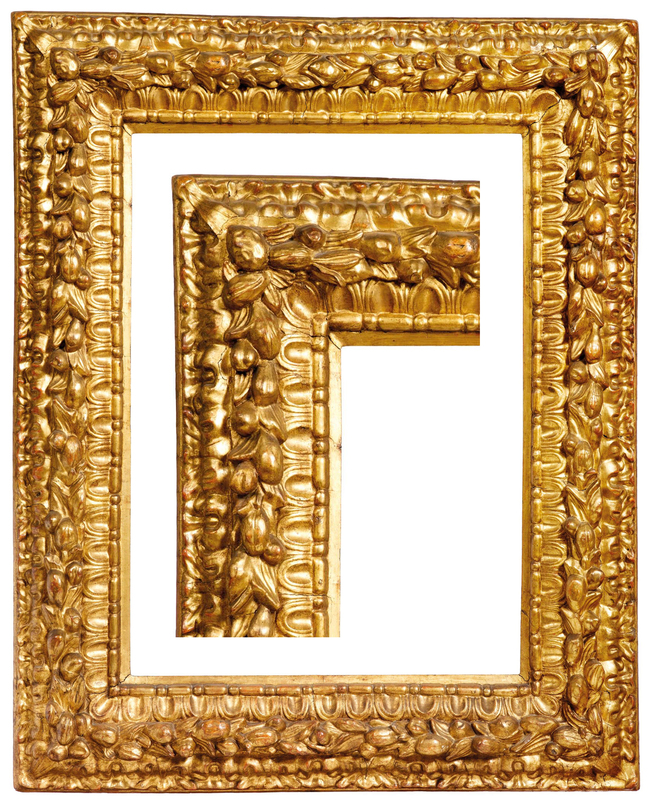 Suffice it to say that the frame is usually finished in gold leaf or lacquer on a gesso base which has been applied to the surface of the wood, and that in consequence a fall, a blow, excessive moisture or too little, can all result in irremediable damage to the gilded surface, thus affecting the historical, cultural and market value of the frame. 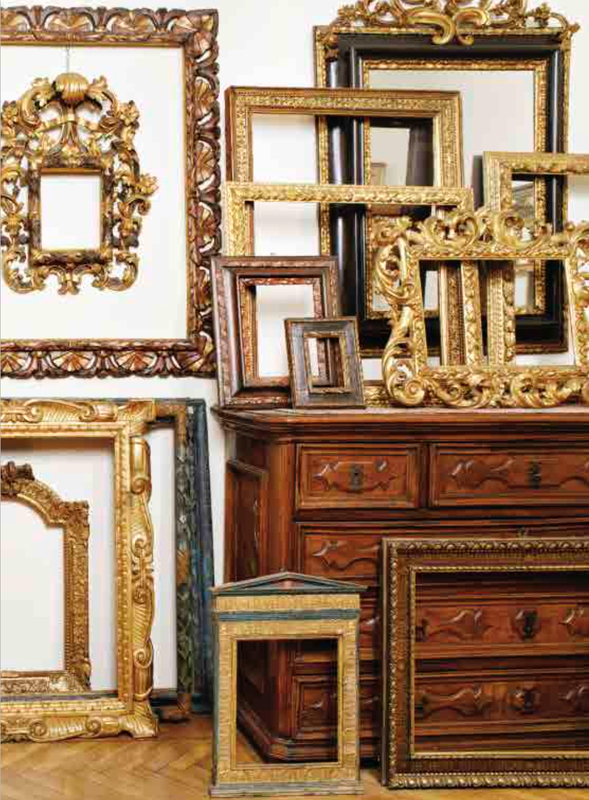 Amongst the panoply of frame styles there are patterns which have proved more popular than others, and so are more easily found, even now. 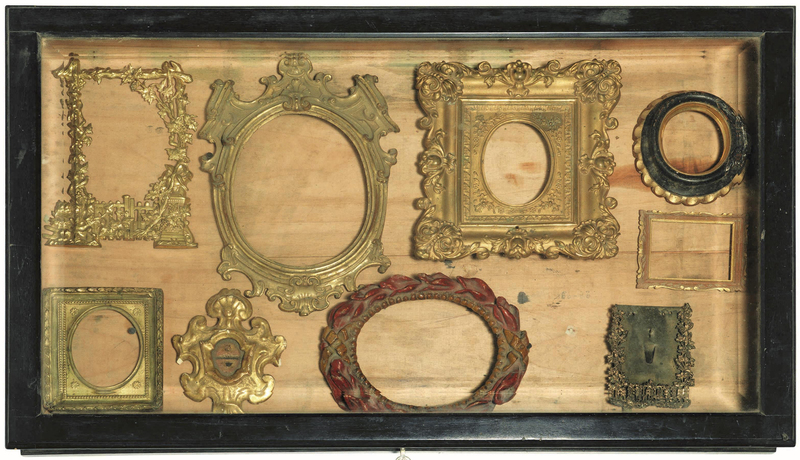 Many were also executed in full creative and artistic freedom, making them unique in the world of antique frames. I am convinced that old frames possess a soul. An ancient object is charged with the emotions and experiences it has absorbed, and I feel that contact with it could release these, telling us of its past. 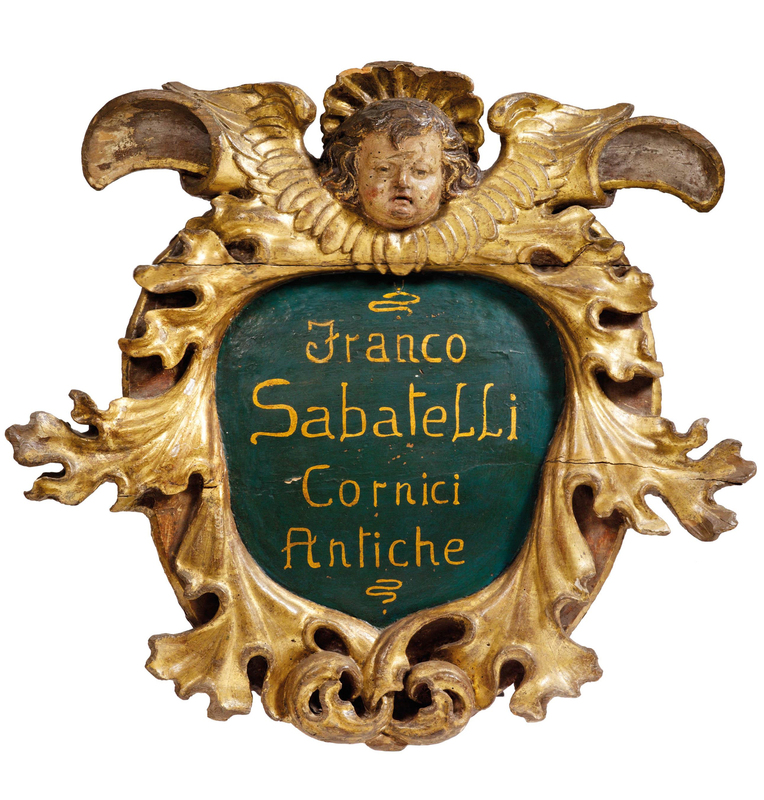 Imagine the history of a 16th century object – the war, famine, social and political events it has survived, the passions of different families it has lived with. 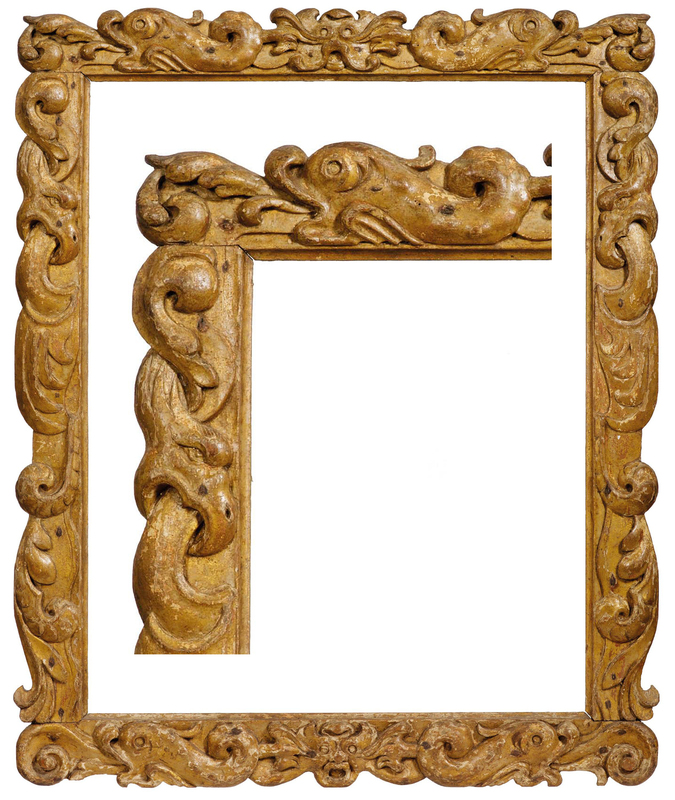 The same frame may have contained many different paintings in the course of time – a movable object par excellence, it may have been the travelling companion of various subjects in different times and places, and have been able create a unique dialogue with them. It is possible that a 16th century cassetta may originally have framed a Madonna and Child, then – in the mid-17th century – a still life, and so on through the ages, until now it frames a De Chirico. 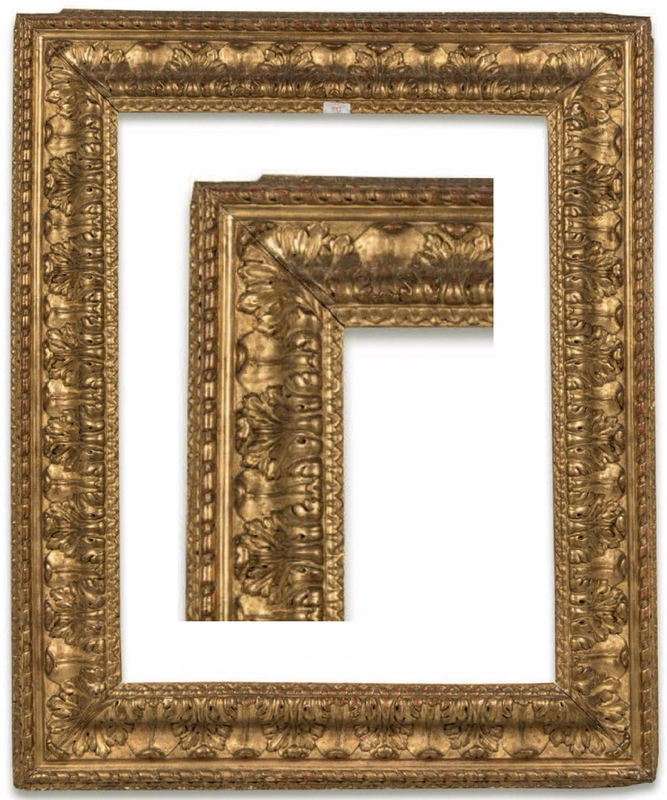 The frame lives its life subject to the painting it contains, whilst maintaining its integrity; although sometimes it may be regilded, with luck it may remain structurally unaltered. 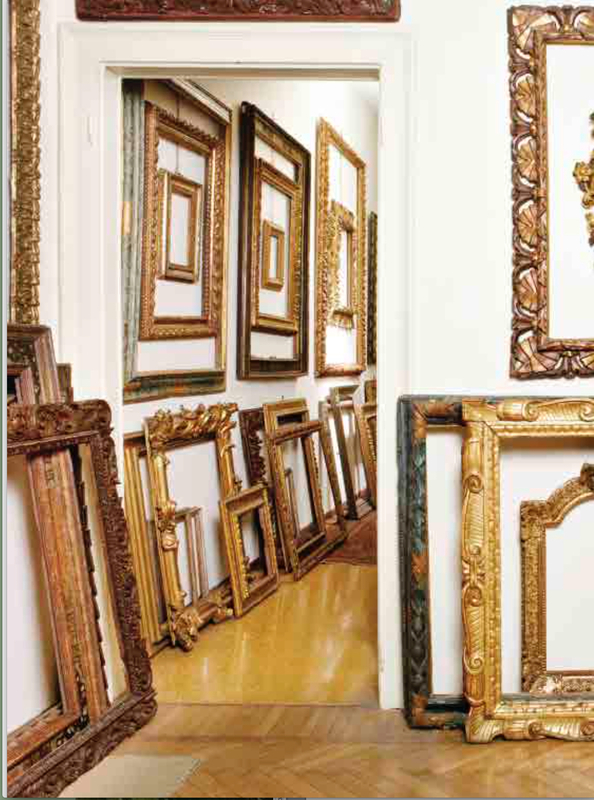 I have been asked several times why I collect frames, and why I hang empty frames on the wall. I believe that the empty spaces they enclose let us conjure up what we choose to, either real or imaginary (a painting, a journey, a beloved); and that it also enhances the beauty, elegance, refinement and preciousness of this work of art, with its own artistic and historical value, to consider it detached from its customary rôle of delimiter and boundary-maker around another work of art. If we look through an empty frame, it’s as if we looked through a window; as if the frame is waiting for the ideal object to enfold. 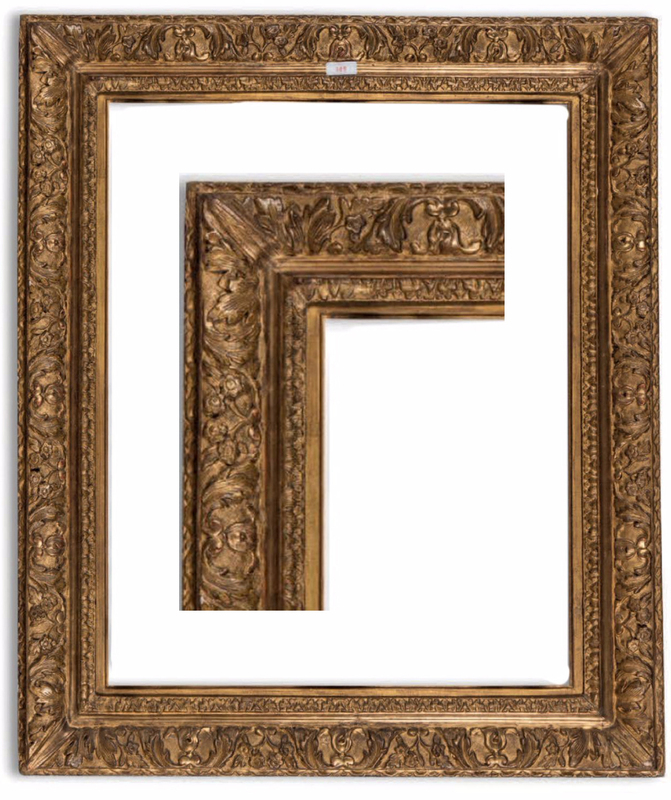 And – like a window – the frame is the portal between different worlds, apparently distant from and irreconcilable with each other. 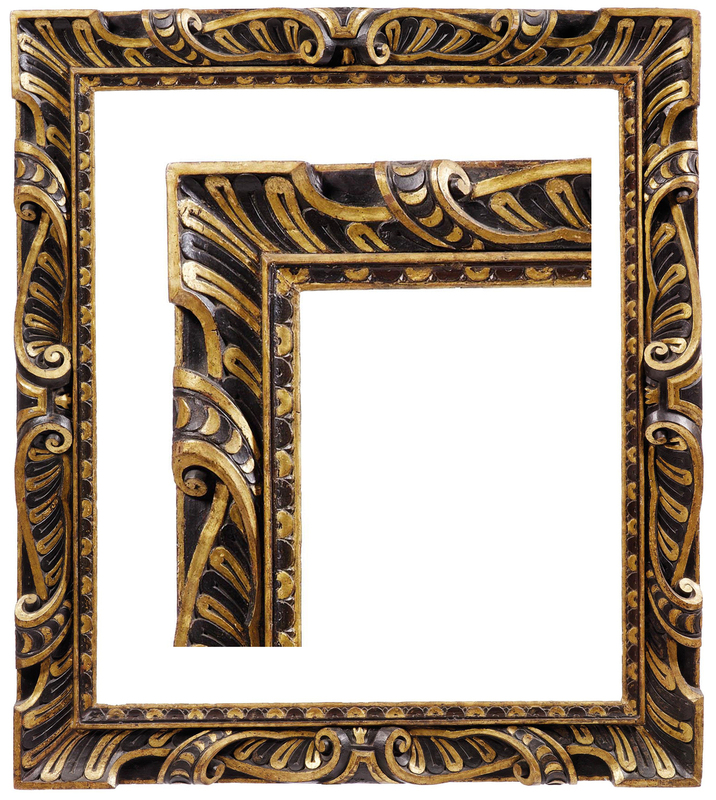 The overall size of the outer frame is 47 x 67 cm., so you can see how small the individual frames must be; however, if you’re looking for miniature settings in wood, copper and bronze, or would just like a decorative collection, then the estimate is €1 500-2 000, and the Lot number is 95.